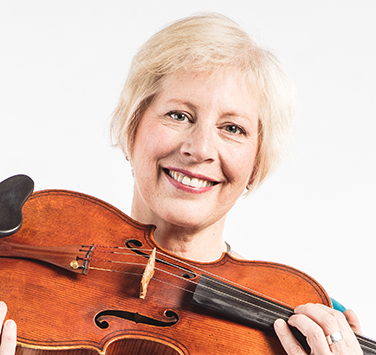 A violist in Symphony Nova Scotia since 1986, Susan Sayle was appointed Principal Viola in 1994. In demand as a chamber musician, she has performed with the Dalhousie Chamber Players, the St. Cecilia Concert Series, the Indian River Festival, at Concerts aux Isle du Bic, OK Quoi?, Shattering the Silence, the New Brunswick Summer Music Festival, and many times as soloist with Symphony Nova Scotia. She has also adjudicated at music festivals in Quebec, Nova Scotia, and PEI. Frequently heard on CBC Radio, Susan can also be heard on many recordings and film scores. She spends her summers in Charlottetown, PEI playing with the Charlottetown Festival Orchestra.